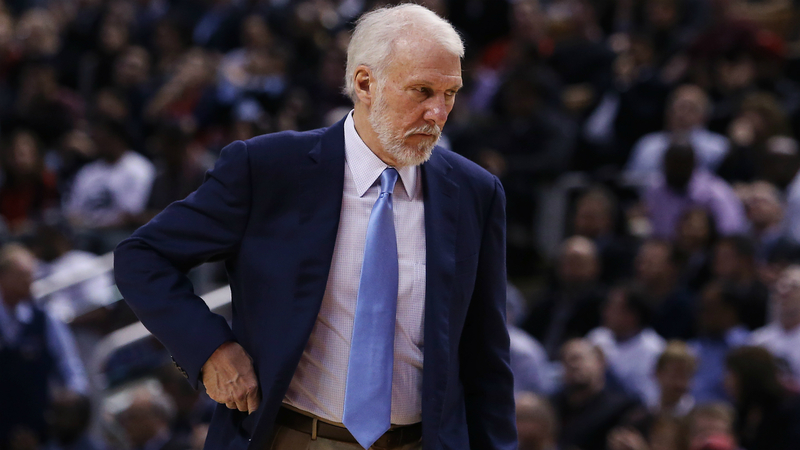 Gregg Popovich is unsure whether he will return to coach the San Antonio Spurs next season. Popovich is in the final season of a five-year extension he signed in 2014. Asked if he will stay on with the Spurs, he told the New York Times: “I don’t know the answer." While Popovich's NBA plans going forward are uncertain, San Antonio general manager R.C. Buford said the 69-year-old will go out on his own terms and "coach as long as he wants to coach." Popovich is one of just five NBA coaches in league history to win at least five championships, with his most recent title coming in 2014. He is third on the all-time wins list with 1,223, behind Don Nelson (1,335) and Lenny Wilkens (1,332).